How Much Will a DUI Case Cost? Lake Oswego criminal defense attorney Jared Justice is an experienced lawyer who deals with DUII cases on a regular basis. A DUII is considered to be a first offense if you haven’t been convicted of a DUII or previously entered into a diversion/deferred sentencing program involving alcohol or drug treatment. If you are arrested for a DUII, you will usually be penalized regardless of whether or not the case results in a conviction in a criminal court. And if the offender does indeed get convicted of a DUII, then the criminal penalties imposed by the court will be independent of and levied in addition to the previous administrative penalties. So, the overall cost of the entire process will depend on a number of considerations. Having a reputable Lake Oswego DUII attorney will keep you on track and ensure that you get evenhanded treatment from all involved. Assuming a lawfully executed first offense DUII arrest takes place, you’ll face a 90-day administrative license suspension even if you aren’t eventually convicted—the penalty increases to a year if you refuse to submit to a breath, blood, or urine test, which violates Oregon’s Implied Consent laws. Almost all drivers in the diversion program for a first offense DUII are obligated to purchase and maintain an ignition interlock device (IID), which can cost approximately $70-$150 to install and about $60-$80 per month to maintain. Minimum fines for first-offense DUII convictions are $1,000, plus a $255 additional fee if ultimately convicted. However, special conditions exist that result in higher fees. If your BAC exceeded .15%, you will be issued a fine of at least $2,000. In either of these two cases, the maximum fine is $6,250. Having an experienced Lake Oswego criminal defense attorney like Jared Justice will ensure fair treatment throughout. After performing a screening interview that determines the appropriate substance abuse treatment program, the driver is required to complete the recommended treatment and to pay for its accumulated costs, as well as a $150 fee for the screening interview. Further, the court usually includes sending a driver to attend a victim impact treatment class, which can also result in additional costs. Each case differs and can result in a wide range of potential financial penalties. 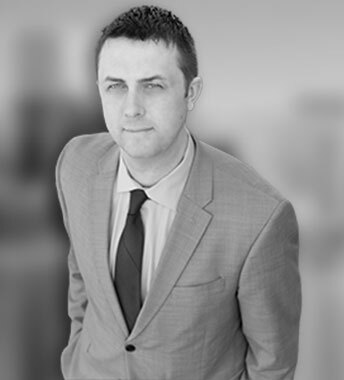 Let Jared Justice, Lake Oswego’s DUII attorney, work for you throughout the process.